I've been participating in the Albion Sewalong this month with Colette Patterns. If you haven't heard, it's a contest featuring one Colette's newest pattern releases, the Albion Duffle Coat as part of the new Walden line. Colette patterns has also launched a Facebook page for the sewalong that is proving to be a great place for discussions and for us to all help each other out with difficulties we are having. 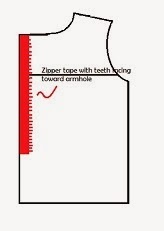 One discussion that came up yesterday on the Facebook page is about the zipper installation. I purchased the Albion Companion, which outlines a method for installation. 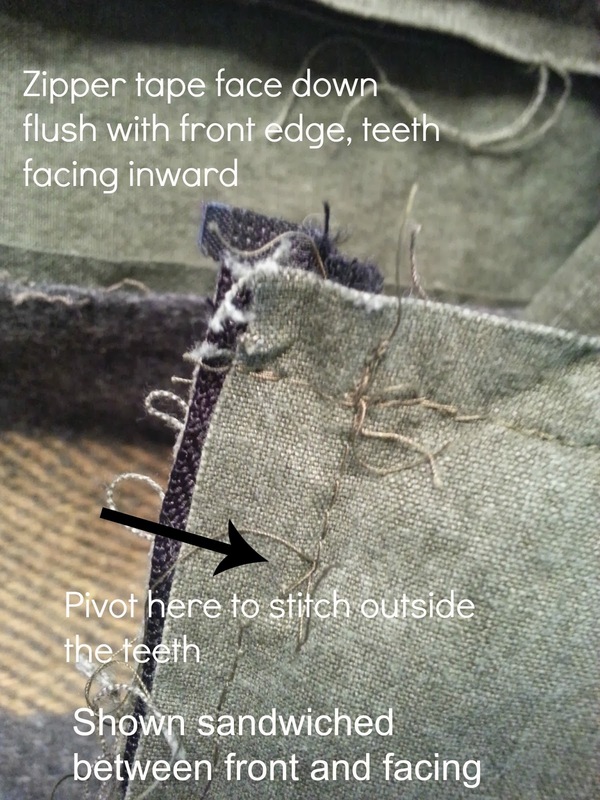 I modified this method a bit so I could enclose the raw edge of the zipper on the left side of the coat. I'm going to attempt to explain what I did so hopefully others can try it too. If you follow the Albion companion, the only step I'm altering is step 1. Instead of placing the zipper face up away from the raw edge, I'm actually placing it face down right along the raw edge. See illustration below. 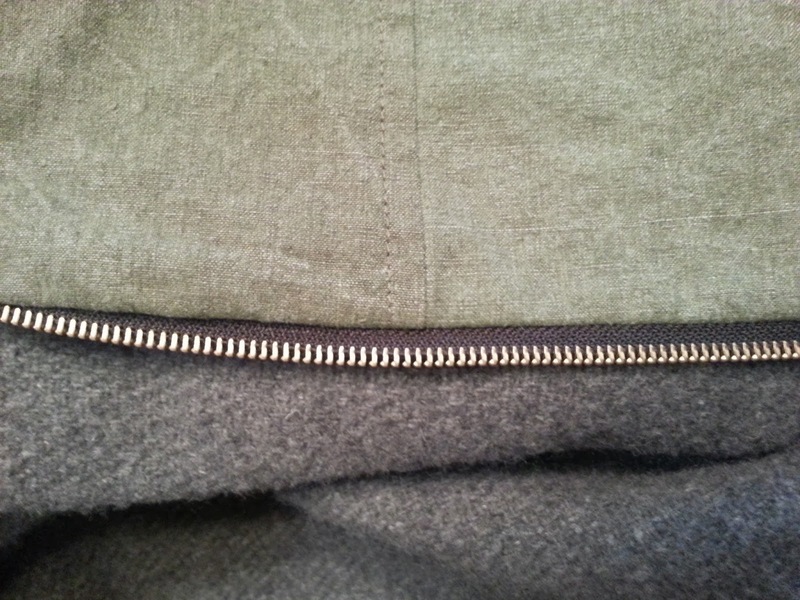 I basted the zipper in about 1/4" from the raw edge. I apologize that this illustration is such low quality. I did it in paint quite hastily. I need to learn Illustrator. 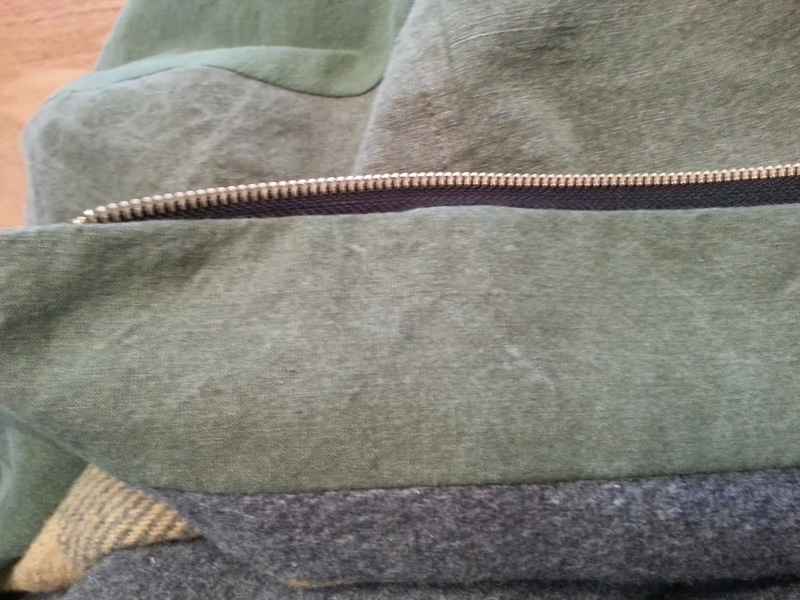 This photo shows the zipper sandwiched between the facing and the coat front with the wrong sides out. I stitched the neckline as indicated in the instructions and then stitched the facing on with a narrow hem being sure to leave the zipper teeth exposed on the inside. The images below show the enclosed zipper tape when you turn everything right side out. The trickiest part of this method was making sure the yoke lines up on each side. I had to pin-baste the facing a few times and then flip right side out to check the alignment. It was worth it, though, to be sure the left and right yokes line up. I hope this helps! Let me know if there's anything that I can clarify. This is a great tutorial, Jane. And it looks so professional! I can't wait to see the finished project and have it modeled too. The finished project will be revealed around Feb. 21!